There is nothing as peaceful as knowing that your family or business is safe and well protected even when you are not there. If you have a small baby and you must leave them at home with a nanny, you know how scary it can get sometimes. Even when leaving your work with no security looking after it. You can get over your fear by having a security system like installing a hidden camera or a surveillance camera for your business that you can monitor from the comfort of your office. At Jumia Egypt, we have variety of security cameras each carefully selected for your needs. Trust Jumia Egypt with your security camera needs starting with IP cameras that are ideal for large rooms. It allows several cameras to be attached on a network and generally has a video recording system which means you always have back up. To ensure that your building is fully secure, install a couple of CCTV cameras. For home security cameras you can opt for a hidden camera that is not visible to everyone and can easily be connected to a smartphone or personal computer where you can easily monitor what is going on in your house. Basically, all security cameras are spy cameras and Jumia Egypt offers you the best security cameras at the best prices. 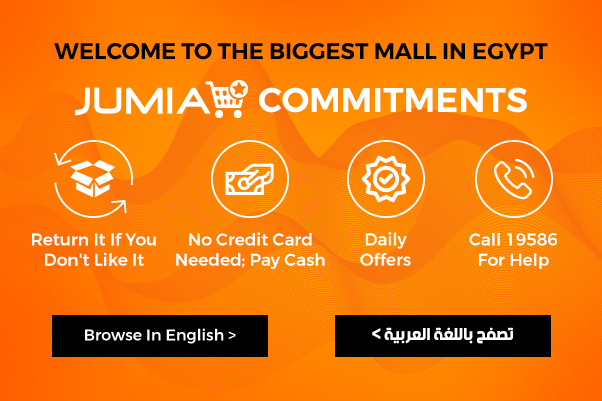 Jumia Egypt has the cheapest but highest quality security cameras in Egypt. Choose from the best brands including Samsung, panasonic and Hikvision among others. To find the exact type of security camera you are looking for, filter using popularity, security camera price or even the best rated security camera. Shop for your hidden camera and pay cash on delivery.